Well there's still some time before Christmas to get some holiday shopping done, and what better gift than mini-comics? 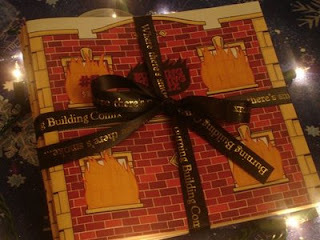 To celebrate the holiday I'm offering all five Issues of Burning Building Comix for the discounted price of $12.00! They'll even come wrapped in a beautiful decorative bow. Isn't that festive? To order email me and mention that you want the holiday set. Remember, this is what the what shabang looks like put together.